The Minister for Defence Industry Christopher Pyne has been busy during his trip to the US. Renowned for his endless supply of energy, he has made every effort to promote the Australian defence industry, its capabilities and the ongoing investment by government. Top talking point for the trip? The Joint Strike Fighter. “Australia’s defence industry regularly competes with the best in the world. 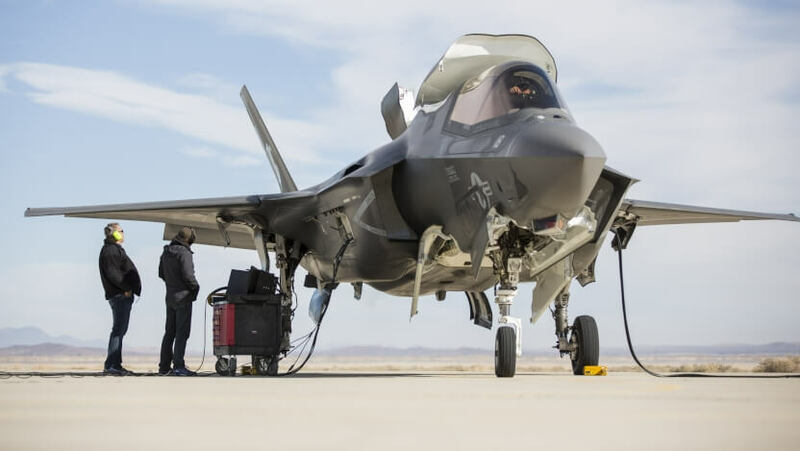 For instance, across the F-35 Joint Strike Fighter Program our industry continues to perform strongly, with over $800 million worth of contracts awarded to date," Minister Pyne noted. "Becoming a regional maintenance hub for the JSF program is potentially worth hundreds of millions of dollars, which will create high skilled jobs across the country." The Minister met with US Secretary for Defense Ashton Carter, other senior US Defence officials including Ray Mabus, US Secretary of Navy and Frank Kendall, US Under Secretary of Defense of Acquisition, Technology and Logistics, and industry executives to highlight the strength of Australian industry, discussing opportunities for collaboration. “The Australian Government is embarking on its largest ever renewal and investment into defence capability; investing approximately $195 billion to grow our local defence capability across the decade, boosting our economy,” said Pyne. Minister Pyne met with Secretary Carter at the Pentagon, with Minister for Defence Senator Marise Payne highlighting Australia’s potential to be a regional hub for the maintenance of the componentry of the Joint Strike Fighter, potentially worth hundreds of millions of dollars to the Australian defence industry. Minister Pyne said the meetings with Secretary Carter, Secretary Mabus, Under Secretary Kendall, and other key players such as Boeing and Lockheed Martin were an important opportunity to highlight the strength of Australian defence industry to our key ally, and to spruik our capability as a potential partner. “US companies such Boeing, Lockheed Martin, Northrop Grumman and Raytheon have been identifying international opportunities and awarding contracts to some of Australia’s most innovative companies,” Minister Pyne said. During his visit, Minister Pyne also met with Ms Marillyn Hewson, chairman, president and chief executive officer of Lockheed Martin Corporation, to discuss increased opportunities for Australian industry. Minister Pyne delivered the keynote address to the National Defense Industrial Association, highlighting the strength of the Australian Defence industry. To read the full address click here.